During the summer, wedding season is in high gear. It’s common to find couples tying the knot, and getting ready for their lives together. However, as you transition into your roles as newlyweds, it’s important to consider some of the costs that might come with getting married. As you plan ahead, Leslie Tayne, Esq., a financial attorney, suggests that you make sure to consider the costs of buying a home and starting a family. mortgage payments,” Tayne points out. Instead, she recommends that you start out by making a budget and living as though you are paying those costs. You should consider not only mortgage payments, but also costs related to utilities, maintenance, taxes, and repairs. Buying a home might be a bigger commitment than you are ready to make right now. Try living on a homeownership budget to see how you do before you sign the papers. Hopefully, before you got married, you had a chat about some of the important things in life, such as whether or not you want to have kids. If you are ready to start a family, Tayne says to take a step back and make sure you are financially prepared. The cost of raising children continues to rise, and Tayne feels that you should be ready for this financial commitment. “You need to consider all the expenses that are associated with both the pre-natal care and raising a child,” she says. So, how do you know when you’re ready? Unfortunately, you just have to do your best. “There is no magic number to help determine when you are financially ready to have a baby,” Tayne says. However, she suggests that you do your best to pay down your outstanding consumer debt before you get started. She also recommends an emergency fund, since you never know what to expect from life — especially when children are involved. 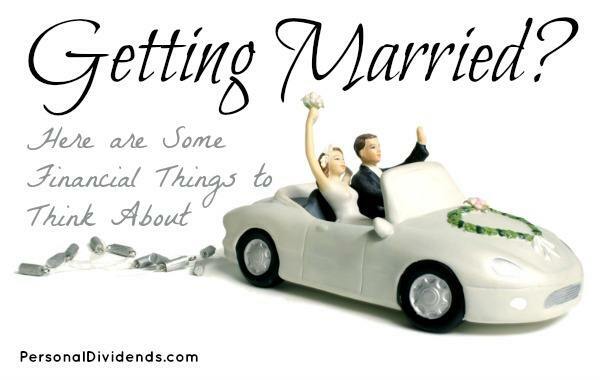 Your couple finances are about more than just the wedding and the honeymoon. You also need to consider how you will conduct your finances after you are married, from whether or not you will combine your accounts to how much you are willing to spend on various purchases. Great article. I’m amazed to know several relationships that ended badly because the “Starting a family” conversation happened AFTER marriage. I would also add to your list “When and how to combine your finances”. There are pros and cons to combining all of your different individual accounts, particularly items like car insurance where each individual’s driving history affects the amount of money you pay for insurance. I actually wrote an article about this a while ago, but I’ll refrain from posting it here unless asked. I hate comment spam.